This cardboard pinhole camera was designed by Frederick W. Brehm for 3 x 4 inch sheet film and sold as a kit from 1931 until the 1950s. The kit consisted of five pieces of cardstock, gummed tape, a pin for the hole and instructions for use. Due to limited availability and fragile construction, not many of these cameras have survived. It is even less common to encounter an unassembled kit in its original Kodak envelope. I bought this camera at an auction on eBay in 2014. Frederick W. Brehm was born in Waterloo, NY, in 1871 and died in 1950. He was originally trained as a cabinet maker and in 1892 came to Rochester NY, where he worked as a camera designer at F.A. Brownell, a division of Eastman Kodak Co. He was involved in the development of the Cirkuit Camera, and in 1905 made a 360 degree and 19 foot long panorama photograph of Washington DC. In 1930, on loan from Kodak, he organized the Department of Photographic Technology at Rochester Mechanics Institute. George Eastman House has about 70 of Brehm’s panoramas, most of them between 20 and 50 inches long, but others even longer, up to 108 inches. I am indebted to Joe Struble, collection manager in the Department of Photography, George Eastman House, for information about Frederick W. Brehm. 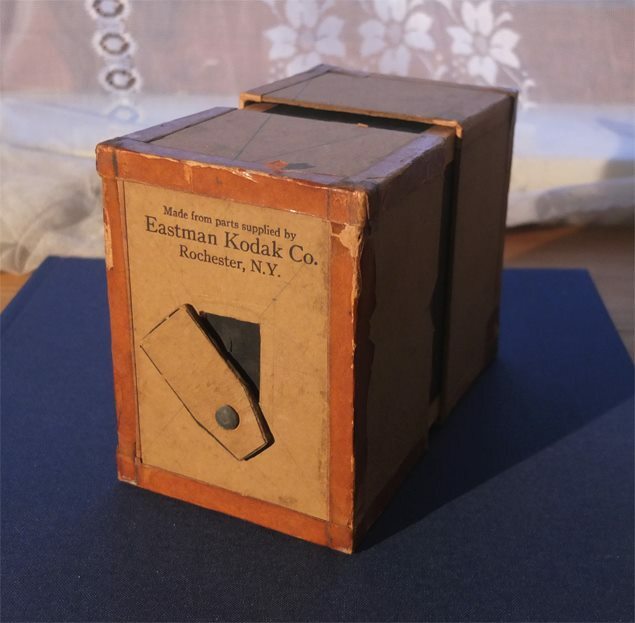 Here is a photo of an unassembled Kodak pinhole camera at the Pinhole Resource Collection now located at New Mexico History Museum. 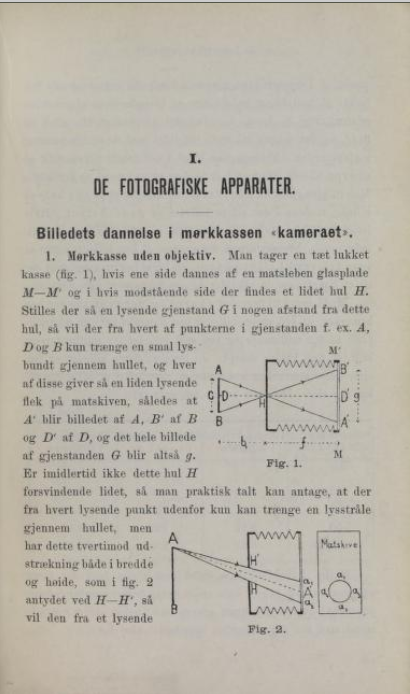 Pinhole photography was popular around the turn of the 19th century. It was cheap, you could make your own camera or buy a commercial one. 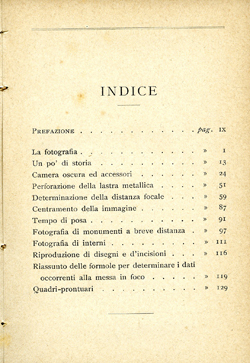 In Italy, in 1905, Luigi Sassi wrote a 135 page manual on pinhole photography, La fotografia senza obiettivo, “Photography without a lens”. The book was published in Milan in the Hoepli series of manuals. Sassi’s book has chapters on the history of photography, the pinhole camera and accessories, making the pinhole, determining the focal distance, exposure times and other useful information. 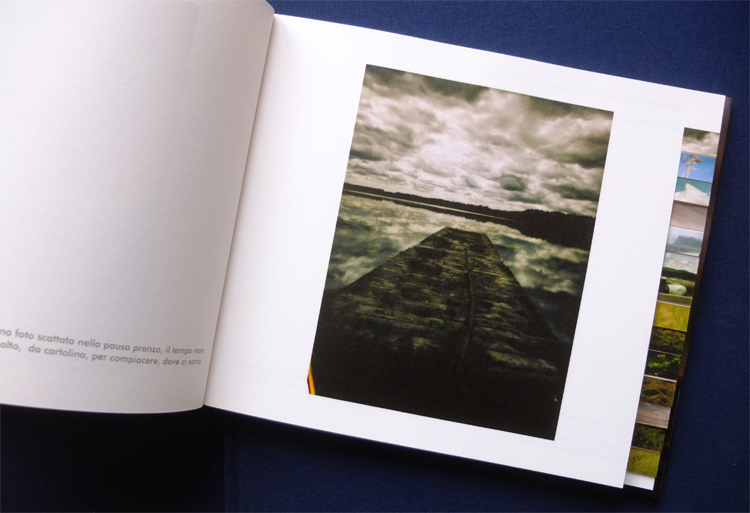 The book has 12 plates of pinhole photographs. 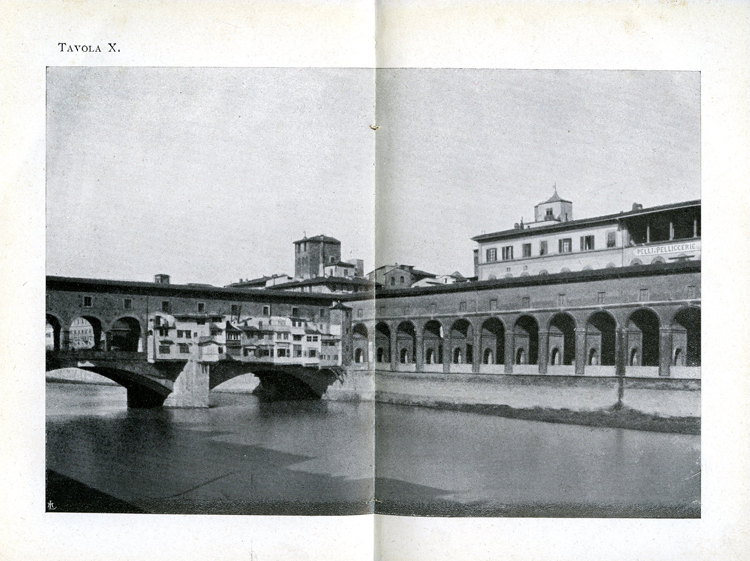 Below is a more than 100-year-old pinhole photograph of the Ponte Vecchio in Florence. 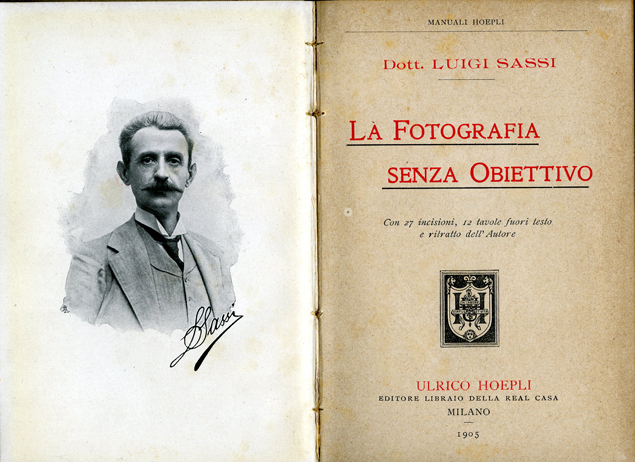 Luigi Sassi also published other books on photography. One of the most famous ones is I primi passi in fotografia, “First steps in photography”. The book was first published in 1905 and was later reprinted in several new editions. 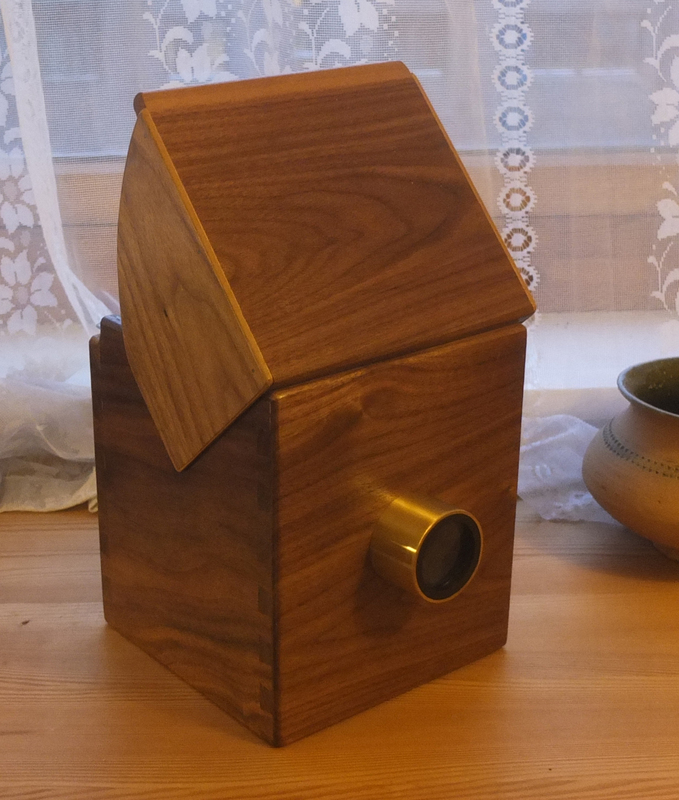 A recent acquisition, a camera obscura made by Les Cookson. The camera obscura is a precursor of the pinhole camera. The first camera obscuras had no lens. 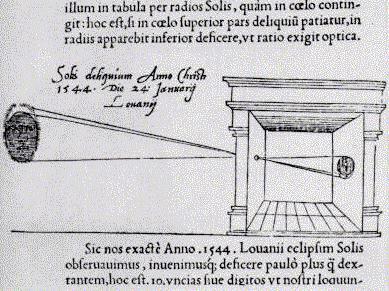 The oldest preserved picture of a lensless camera obscura is a drawing in Gemma Frisius’ De Radio Astronomica et Geometrica (1545). Gemma Frisius, an astronomer, had used the pinhole in his darkened room to study the solar eclipse of 1544. The very term camera obscura (“dark room”) was coined by Johannes Kepler (1571–1630). At his time, the word had come to mean a room, tent or box with a lens aperture used by artists to draw a landscape. The lens made the image brighter and focused at a certain distance. Adding a bi-convex lens to the camera obscura had been suggested by Girolamo Cardano in De subtilitate libri around 1550. Thus this type of camera differed from the pinhole camera obscura used by Frisius in 1544. Camera obscuras as drawing aids were soon found in many shapes and sizes. They were used by both artists and amateur painters. Some time ago I received an inscribed copy of Luca Baldassari’s book about his bike tour from Stockholm to the North Cape in 2014. His only companion was his pinhole camera. The book has 106 pages, a lot of pinhole photographs from his tour, and has a beautiful design. It is one of the most beautiful and most elaborate pinhole photography books that I have ever seen. Thank you very much, Luca! Grazie tantissimo! Luca says that he is now considering making an English language edition, which I think is a very good idea! You will find the Italian version of Luca’s book on Blurb.com. 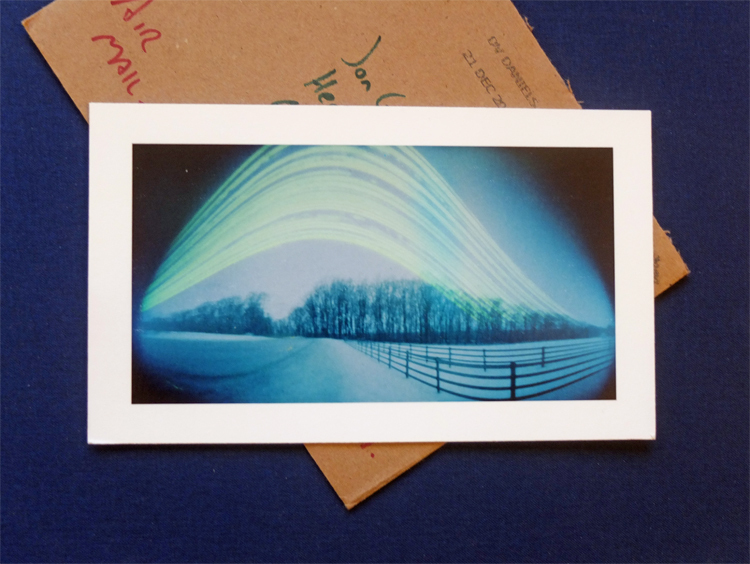 In 2001 camera maker and pinhole photographer Zernike Au in Hongkong launched the idea of swapping pinhole Christmas/Holiday cards with other people on the pinhole-discussion mailing list. The idea evolved into an annual New Year exchange of cards. It was a great success and has been repeated every year since then. Above is a beautiful solargraph which I received from Jeff McConnell in January 2016. Jeff lives in New Jersey in the USA and is a pinhole and wet plate collodion photographer. He has made some of the most beautiful solargraphs that I have ever seen. A solargraph is a long-exposure pinhole photograph made on photographic paper, which is not developed, but scanned in a dim room. The photograph records the paths of the sun. Exposures may be several weeks or months. Jeff’s solargraph was exposed for ten weeks. You will find more information about solargraphy on Tarja Trygg’s website. My pinhole photography friend Gregg D. Kemp died on 7 February 2016. He was an interesting artist and did a lot for the pinhole photography community. In 1997 he launched the Pinhole Visions website, which for years was the most important pinhole website. He was also co-founder of Worldwide Pinhole Photography Day in 2001. I knew him for about twenty years on the Internet. Occasionally we exchanged emails. The last time was in October 2015. He had been in hospital for his cancer. I was basking in the sun and doing pinhole photography on the Greek island Hydra. 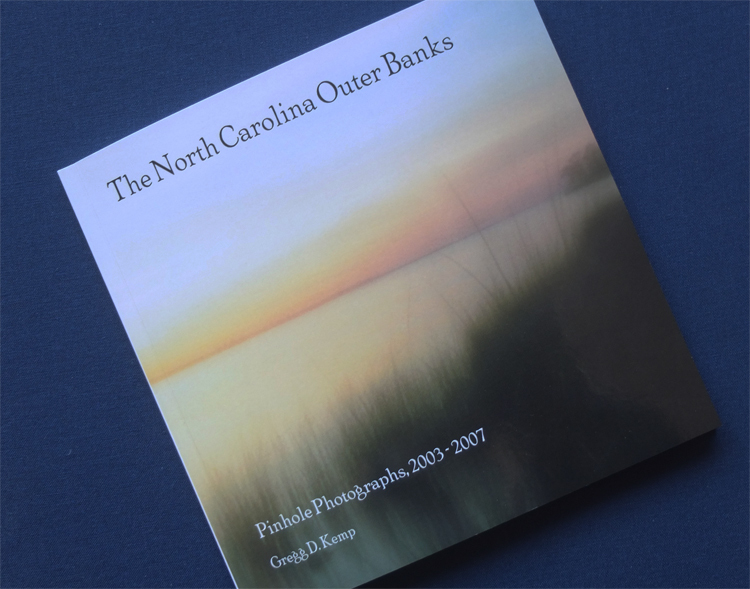 Gregg’s book, The North Carolina Outer Banks, is available from blurb.com. to share their visions and help spread the unusual beauty of this historical photographic process. In a number of countries workshops and meetups are arranged. Pinhole photographs taken on this day may be uploaded to the WPPD website. 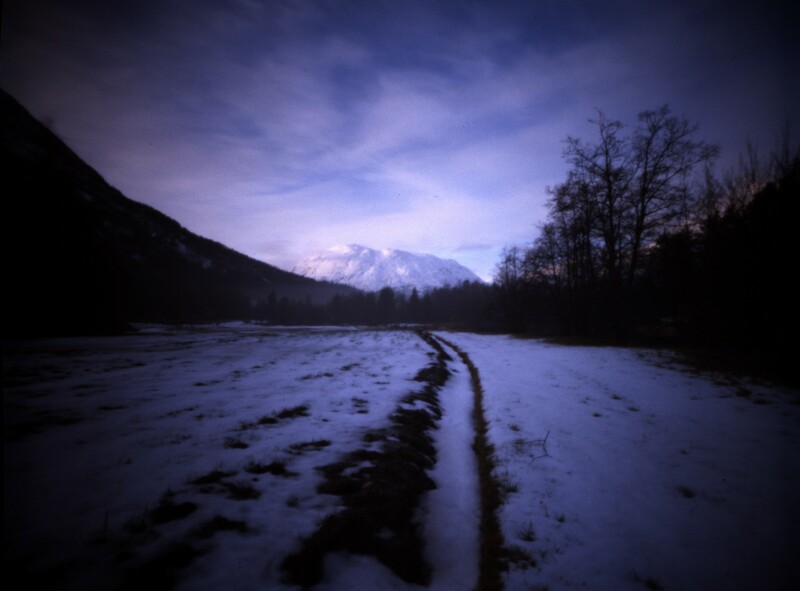 The Worldwide Pinhole Photography Day is held each year on the last Sunday in April. The next Worldwide Pinhole Photography Day is on Sunday, April 28, 2019.